What’s good everyone! 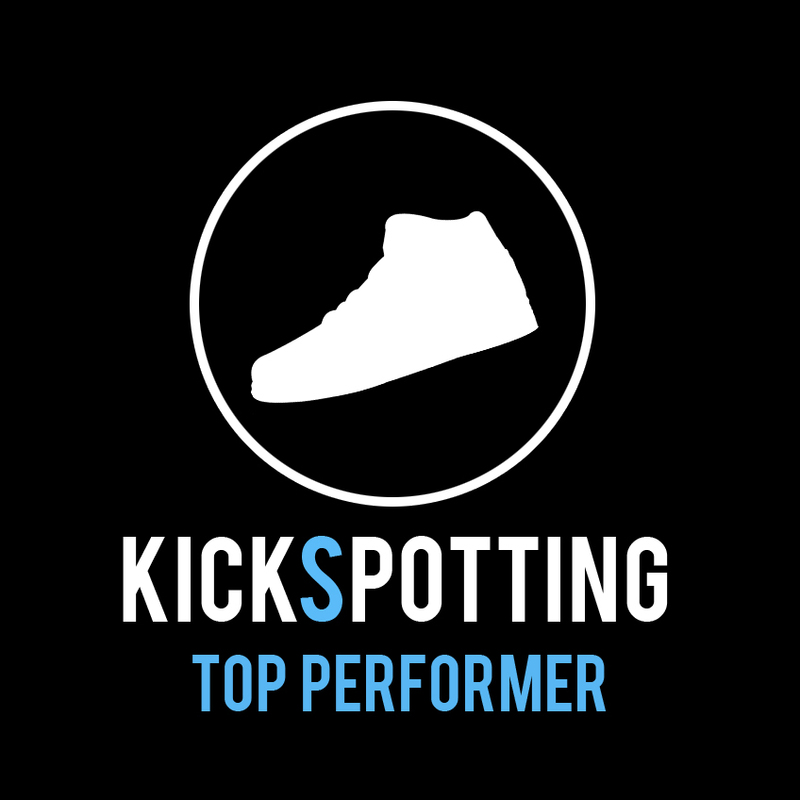 We have another Performance Review for you, this time for the Nike React Hyperdunk 2017 Flyknit. Last August we got to try out the shoe thanks to Nike PH and we got to test the brand’s latest cushioning technology called React. So how did we like React and the latest Hyperdunk? Let’s find out! Again, we teamed up with our guys from Buhay Basket to give you a video breakdown of the shoe. Here we go! The Hyperdunk 2017 introduces Nike’s latest cushioning technology called React. It’s the brand’s most durable and most responsive foam to date, based on hours and hours of testing. So how do we feel about React? Personally, I liked it. At first it started out a bit stiff and you can’t really feel anything underneath your foot, but the responsiveness was awesome right out of the box! Nike did mention that it’s their most responsive foam ever, and it really is. Each push off and change in direction made me feel light on my feet. It’s good to note that we tested the Hyperdunk 2017 on an outdoor court straight out of the box and didn’t feel any pain on my knees and joints. 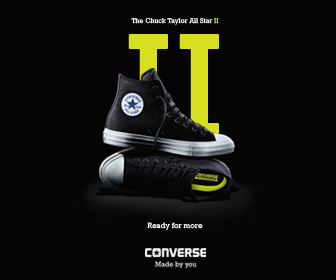 The shoe is very responsive and low to the ground without sacrificing impact protection. Just give it a few runs to break in and you’ll get that balance of softness, responsiveness and impact protection. The Hyperdunk 2017 uses a half bootie setup with the tongue separate along the top area for a wide opening and ease of entry for the foot. It fits true to size but may start out a bit snug for some. The flyknit upper will break in and loosen up for that awesome one-to-one fit, so it’s best to try this shoe on in-store to get that perfect size. Once you find your correct size, the fit is awesome. 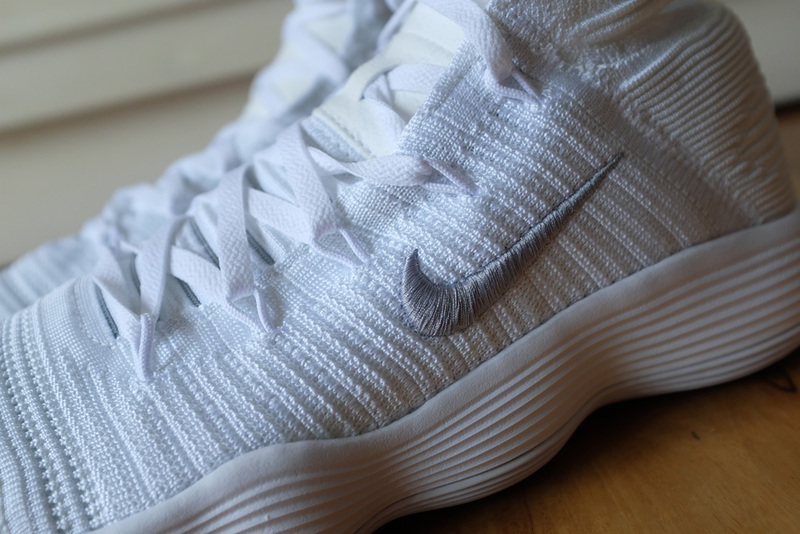 Again, Nike was able to find a good balance between the flyknit upper’s stretch and support in key areas. 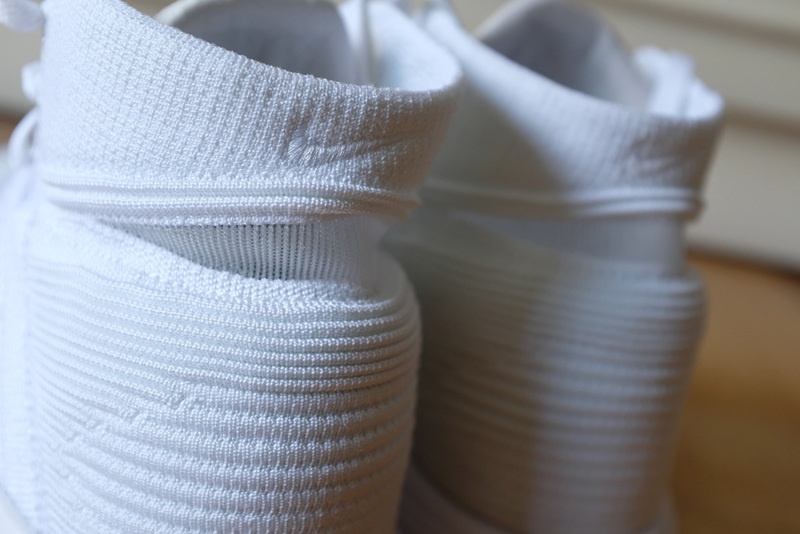 TPU strands are mixed in with the flyknit material for added support around the toe box and mid foot area while still remaining soft overall. Flywire along the lacing system also provides containment and lockdown while an internal heel counter with extra padding around the ankle keeps your foot in place at all times. Everything just works well together to make the shoe feel one with your feet. Flyknit all over! 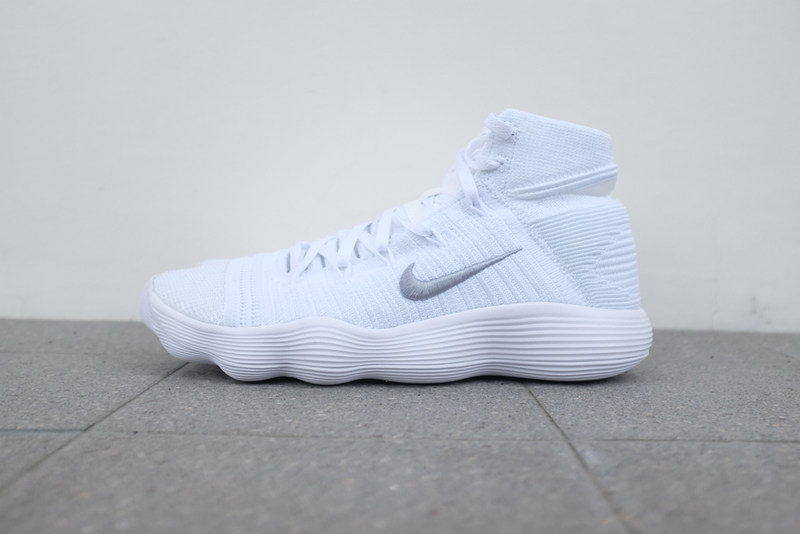 The shoe features a full flyknit upper combined with TPU strands in between at strategic areas for support. Even with the TPU in place, the Flyknit still feels soft and moves around with your foot for a very comfortable ride. 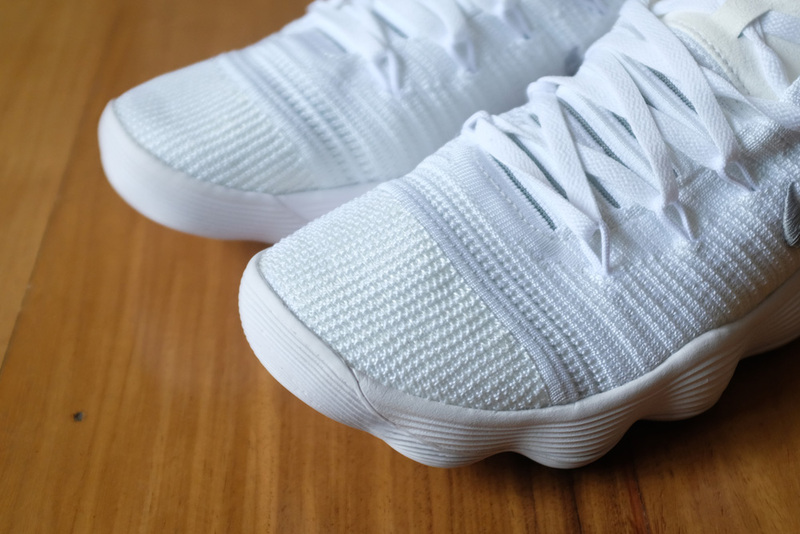 The flyknit along the tongue area is stretchy and allows your foot to move freely, while the extra padding on the tongue itself feels really good around the ankle area. Extra nylon strands around the toebox area help with the support and adds durability to the shoe. Overall, the materials are just super comfortable. Nike uses a pressure-mapped pattern to provide the best traction for your foot’s movement on the court and these were just solid. 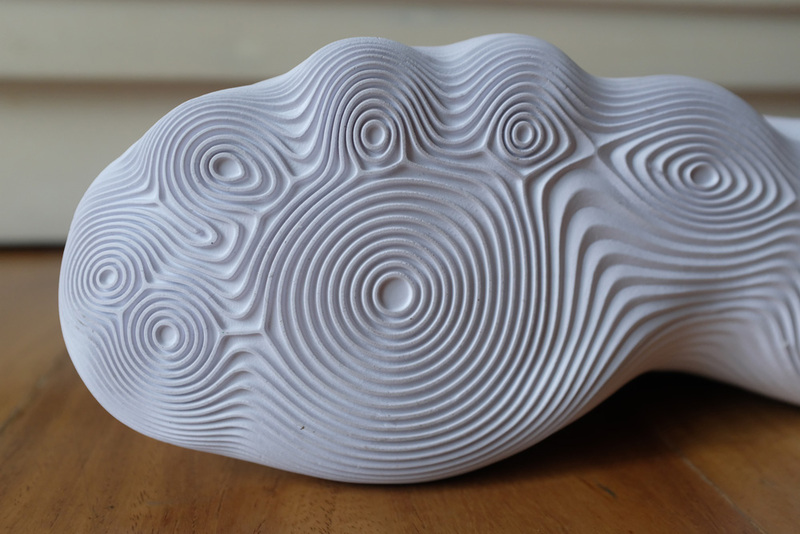 The combination of circular patterns and wavy lines work well together in providing solid grip on the floor. I’ve tried them on indoor and outdoor courts and the traction just worked. Just put them on and you’re good to go. The rubber is a bit on the soft side though so playing purely outdoors may not be a good idea. The traction grooves go all around the shoe – front, side, and back - so if you do a lot of crossovers and sudden direction changes, the shoe has you covered. A lot of the support features comes from its great fit, so make sure you get your correct size. 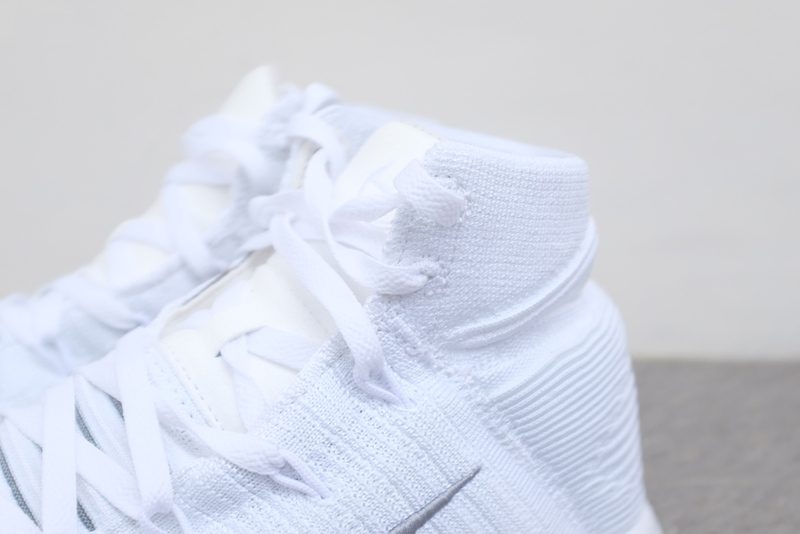 An internal heel counter plus thicker flyknit along the area keeps your foot locked in at all times. The extra padding around the ankle and tongue feels good and hugs your foot tight without feeling any pain or pinching. Along the midfoot, the flywire lacing system does a great job of keeping your foot in place and contained. 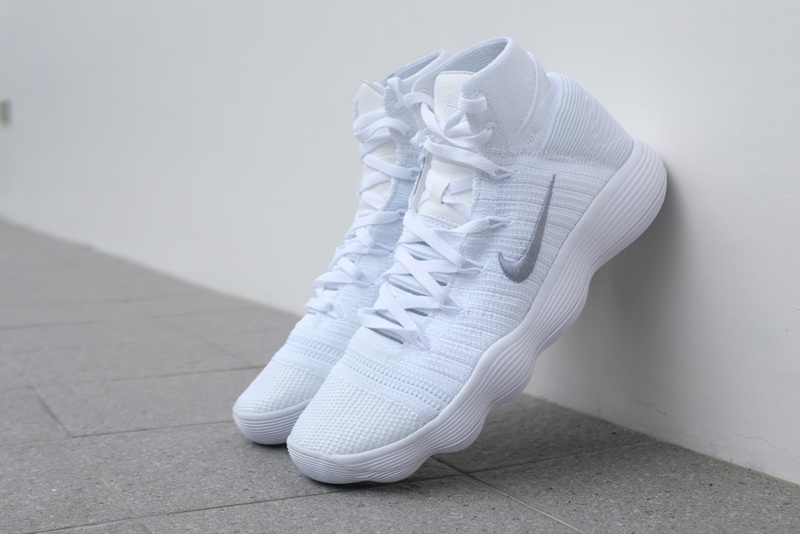 Again, the TPU strands combined with flyknit gives the shoe the added support it needs on lateral movement and also extra durability on the toebox area. Lastly, the Hyperdunk 2017 features a wide base with a curved shaped midsole that adds stability overall. Overall, the Hyperdunk 2017 Flyknit is a very solid shoe to play in with a lot of features for all types of players. The shoe is light and versatile while providing great fit, solid traction, comfortable materials and a very responsive React cushion. In today’s positionless style of play, the Hyperdunk 2017 is definitely a great option for all kinds of players. The Nike Hyperdunk 2017 is available now is a several versions (flyknit, mesh, low) at Titan, Nike Forum and select Nike retailers. A light and versatile shoe for all types of players. Traction, Fit and responsiveness are on point!